If you're looking for an island paradise that's home to beautiful bays and beaches, world-famous legends and soul-stirring scenery, look no further than Cyprus. Cast out into the Mediterranean Sea, overlooked by Turkey and the Middle East, Cyprus is a melting pot of cultures that boasts many centuries of heritage. The earliest known human activity is believed to date back to the 10th millennium BC, when ancient archaeological remains have been linked with the Neolithic village of Khirokitia. 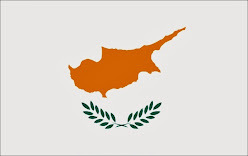 In the centuries that followed, Cyprus became home to a myriad of influential nations, including the Mycenean Greeks, the Egyptians, the Persians, the Roman Empire, the Byzantines and the Venetians, among others. All these different civilisations left their mark on this fascinating island, which provides yet another reason to visit. Cyprus holidays have so much to offer. If you're after a non-stop clubbing holiday with more late night shenanigans than you can shake a glow-stick at, Ayia Napa is the place to be. Here, it's like one big summer party when big-name DJs come to spin the latest tunes and keep the party going well into the small hours. If that is not quite your scene, you will find plenty of Cyprus holidays geared towards families. For instance, head to the lovely resort of Coral Bay near Paphos for a laid-back retreat with plenty of amenities on your doorstep. In nearby Paphos you'll find a superb town that is UNESCO World Heritage Site-listed and full of ancient archaeological wonders. Or head to Larnaca for a fabulous beach break with a cracking line-up of hotels. If anything above takes your fancy, look at some of the package holidays on offer to see which suits your wish-list. For instance, there are tons of Cyprus holidays available through The Co-operative Travel, here - http://www.co-operativetravel.co.uk/holidays/cyprus/ - offering a superb choice of accommodation and travel arrangements to suit many different tastes and budgets. So whatever you fancy, whether it is a laid-back family escape or a non-stop clubbing holiday with friends, why not discover Cyprus? It could just be your holiday of a lifetime. No harvest is complete without sampling some fruits of labour. It is no different with olive harvest. As it is evident from the previous post, we recently participated in an olive harvest in Istria, Croatia. After all the work for the day was done olives were taken to the press. Since picked olives soon start to oxidise it is essential to squeeze the oil out of them as soon as possible. Luckily for us, this meant we had a chance to try out some of the freshly produced oil. Any extra virgin olive oil tastes good in its own way but this was extra delicious. The colour, the smell and the taste of it were very strong and fresh. I just could not resist and had to make myself a little gourmand snack. It consisted of home grown cherry tomatoes, small pieces of goat cheese and a healthy dose of olive oil. A piece of bread and a glass of good white wine fit in perfectly. I guess you will believe me when I tell you it was all gone and the plate cleaned with a little piece of bread before I could snap a photo of it. Simple and delicious! Clicking on any one of above photos will reveal them both in a more flattering resolution. We spent last weekend in Istria, Croatia - near the charming little hill town of Grožnjan. We have visited Istria many times before but this time the main reason for visiting was to get an insight into secrets of the Istrian liquid gold. That is a local synonym for olive oil which symbolizes healthy lifestyle and longevity. At the time of my visit, olive harvest was in full swing. Those of you unfamiliar with the olive business might not know this, but November is usually the time for olive harvest throughout the northern Mediterranean. I am a huge fan of olive oil - the Extra-virgin olive oil that is. For olive oil to obtain that title it can contain no more than 0.8 percent of free acidity and is judged to have a superior taste. Some fruitiness in its taste is common and it can have no sensory defects. Since it contains unsaturated fatty and oleic acids, it is rich in antioxidants and polyphenoles that were proved by modern medicine to have significant impact on the overall well-being. The taste of the final product also varies depending on the olive varieties used. Varieties grown in Istria are: Buža, Istarska Bjelica, Leccino, Pendolino and also some others. Despite my affection to the delicious product this has been my first time to participate in an olive harvest. I guess apart from some mechanical equipment involved, the picking procedure has not changed a lot since the ancient times. First we laid nets and large cloth sheets around each individual olive tree. Than olives were shaken off from branches to the ground using small rakes, various mechanical tools and last but not least our hands. Afterwards it was quite easy to gather them into large boxes to be loaded onto a tractor trailer. Back at the farm olives are sorted with a use of a special machine. In this way olives are separated from leaves and little branches and put into bags. They take them to the press as soon as possible and get olive oil ready for immediate use. There are a few modern presses nearby and they make sure everything is kept under the highest standards. For olive oil to be of top quality (and to earn that extra-virgin title) it is essential not to be heated over 27 degrees Celsius at any time during the pressing procedure. After a day of picking olives we were lucky enough to also sample some fresh olive oil. It had a very strong, fresh smell and was a bright green colour. It might be pretty obvious but I just have to put it in writing - It was delicious! If you ever find yourself in that region do not let those famous local truffles take all of your attention. Take some time to also taste some of the local liquid gold. It is a safe bet to wander to a random farm in the Istrian countryside and find some top quality olive oil. If you do not strike gold, they will definitely kindly point you in the right direction.